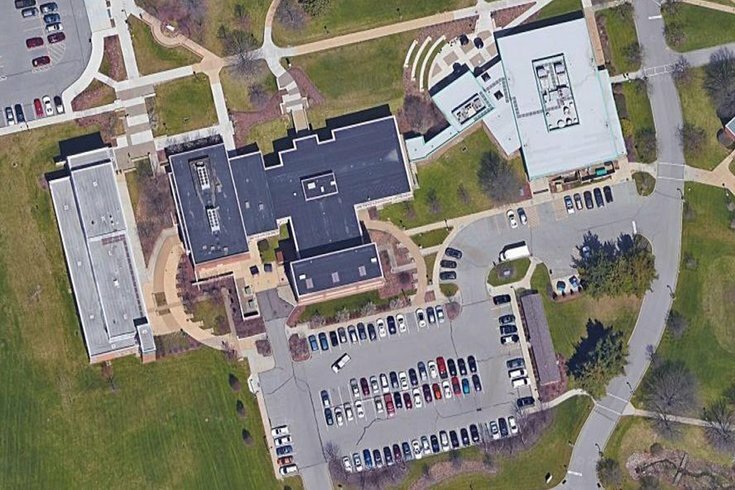 This Google Maps aerial image shows the Student Union (black roof) and food services building (white roof) at the Penn State Beaver campus. MONACA, Pa. — Officials say shots have been fired near a dining hall at a Penn State satellite campus near Pittsburgh and a coroner is at the scene. Penn State Beaver issued an alert just before 4 p.m. Wednesday that shots were fired, adding that the situation is contained and they say there is "no threat at this time." It asks students and faculty to avoid the Student Union building and food services area. Center Township police say a coroner is at the scene, but couldn't give details about any deaths. The campus will be closed until further notice.